Around a year and a half ago, I think, Dutch band Cirrha Niva released their first full-length album, "The Mirror World Dimension". Weak link on that album was their singer, who made the music very difficult to listen to indeed. There was progressive heaviness, good guitar work and a lot of talent at work here, but they definitely needed another singer. In November 1997, vocalist Arnold Kloek took over. Not an easy listen, either, with his high range and unconventional vocal melodies. I had seen them perform in spring 1998 and, although I still had to get used to the singer, they struck me as an incredibly tight bunch of talented musicians, capable of writing interesting songs that had enough balls and chunks. 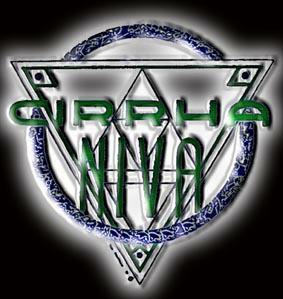 The "No More Psychosis" CD demo became available recently, forming a taste of what can be expected on Cirrha Niva's second album. The two tracks, "Dimensions and Mirrors" and "Song of Kali", are much in the same vein as their previous album, only better. Still, vocalist Kloek takes some getting used to, but you can't avoid the fact that we have here one of Holland's finest progressive heavy metal outfits at work.